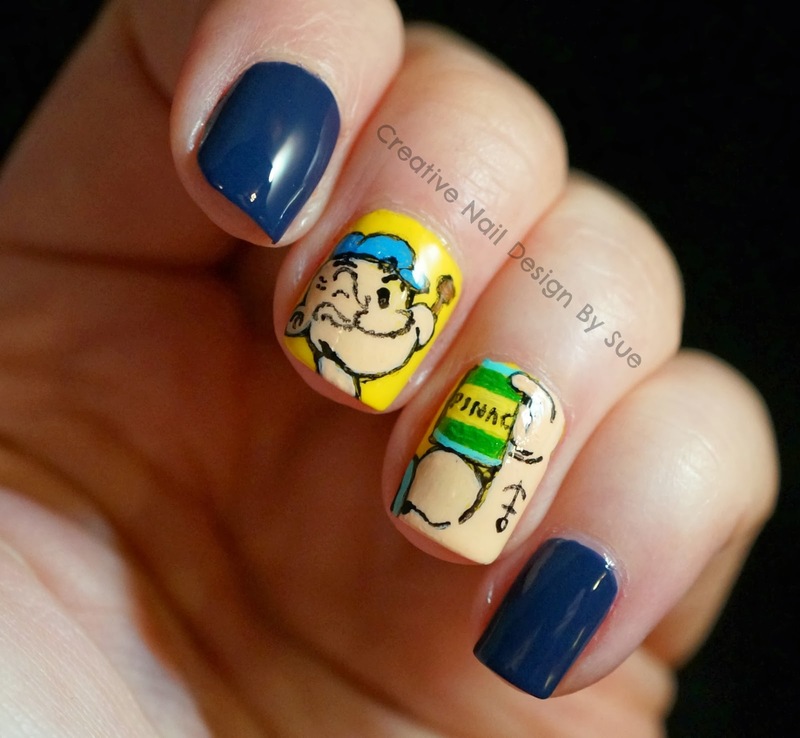 Last but not least, who doesn't love Popeye? I wish I had more time to add in Olive Oil but I just can't pass an opportunity to play across multiple nails. I like the yellow and Blue base combination. I think it really adds a vintage feel. i never understood why opeye liked spinach so much. it's so gross. but at least your nails are awesome! This is perfection! I love Popeye, I dressed my son up as him for Halloween! Love it! I thought of Popeye too but did other things; will save for another time! You did amazing work on this! These looks fantastic, the spinach can is awesome! Oh my word! This are just so awesome! Love it!